Lovina Beach will be a good option after you feel bored with white sand beaches easily found in Bali island. Surely, after seeing Kecak Dance and seeing cultural heritages such as Uluwatu Temple etc, visitors may need something unusual to decorate your memory about this God’s island. The beach will surely offers you something. If other beaches have white sand, Lovina beach will not offer you the same. Instead of that, it provides you coastline full of black sand. However, the landscape is no difference than any beaches in Bali, clean and beautiful. What other attractions that can make visiting the beach memorable if there is no white sand beaches? Please just keep reading as it will be explained on next paragraphs. The beach is located a bit far away in northern side of Bali. It needs around 2.5 – 3 hours driving from where tourists usually concentrated, Kuta or Denpasar. It’s only 10-15 kilometers from the city of Singaraja. What can be enjoyed in Lovina Beach? For sure, everybody asks the same question if they want to visit a place. It is normal. So, what the beach can offer to you? Yes. It is understood that seeing dolphins are not uncommon. They can be found in aquarium or seaworld type of park. People may have seen trained dolphins jumping out from pools and showing their ability to perform many difficult actions. But, it is not what you will see in this part of the God’s Island. You will have a little adventure here acting as “hunters”, Don’t worry, it’s not a real hunting session asking you killing any animal. You will hunt wild dolphins and your armament is only your eyes and camera. Yes, because you will need to go to the sea and be a fisherman or hunter, whichever you want yourselves to be called. The reason is because you will visit dolphins in the place where they live, the sea. You will need to rent a fishing boat from local fishermen and a guide to accompany you. Without their skill in driving a boat, there is no chance you can get there safely. 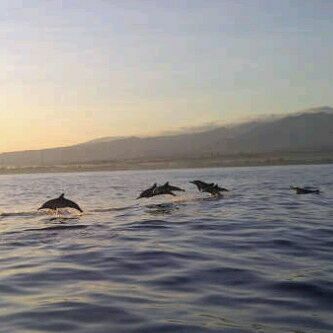 It’s been known widely that water surrounding Lovina Beach is a place of dolphins habitat. They will act naturally, jumping out from water and flying for a moment before giving you splash when they hit the water. Wild dolphins are the main attraction here. There is no guarantee that you can meet them on the sea. However, if you come at the right time, then you will be lucky to see group of wild dolphins playing around. That’s why your boat drivers role is critical as without their knowledge about the condition and habit of the area, you may have no luck to see what you want to see. To get there on the right time, you will need quite an effort. It’s not common to wake up early during your vacation but if you stay in Kuta or Denpasar, then you need to wake up as early as 2-3 o’clock in the morning. As mentioned, 2.5 hours are the minimum time to reach Lovina Beach from Kuta or Denpasar. 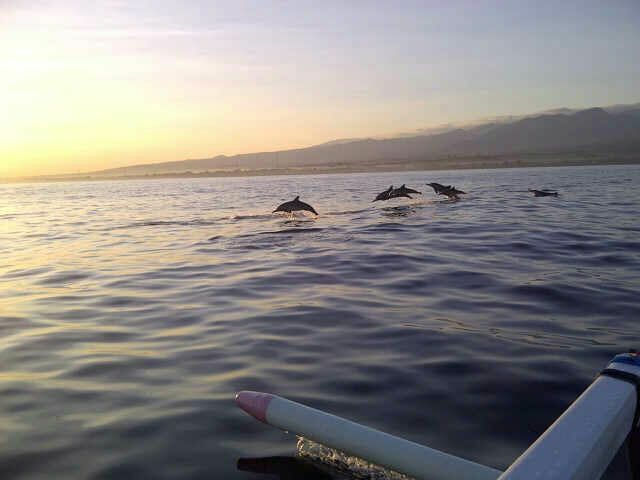 Because dolphins are quite diligent animals, their appearance can be seen very early in the morning, around 6-8 am. Therefore, you need to be there before they start their routine. You must need also to consult with your travel agent to see the chances of dolphin season. This is to avoid you return from the beach empty handed as no dolphins shows up. 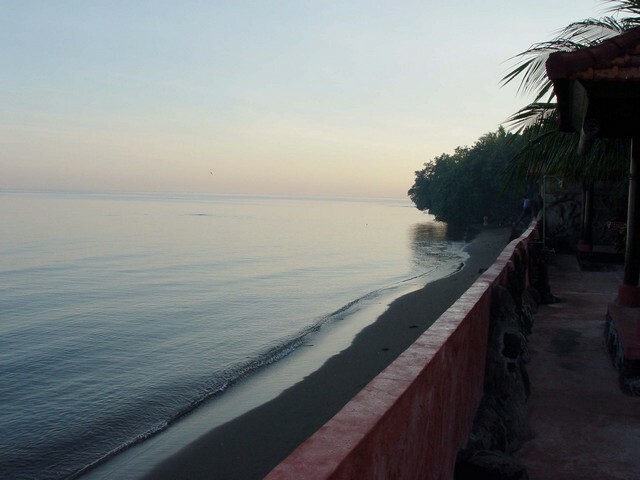 Here is the attractive side of Lovina beach that makes them offering different attractions to enjoy. This should be something nice to be added to your collection of nice moments during in Bali. Special notes : Thanks so much for my cute friend Tri Trisdiyanti to bring Talking Indonesia with these pretty pictures of dolphins in action. Priceless.